Game of Thrones Il y a 85 produits. 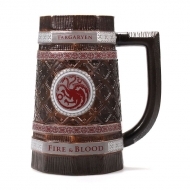 Mug Game of Thrones 3D Rotating Logo Targaryen Black Crystal. 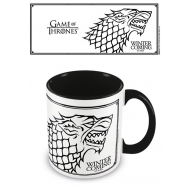 Mug 3D Game of Thrones, modèle Rotating Logo Stark Black Crystal. Coffret cadeau Game of Thrones. 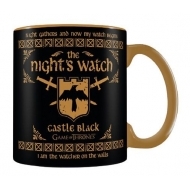 Mug Game of Thrones, modèle Mega The Night's Watch. 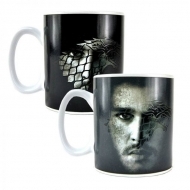 Mug effet thermique Game of Thrones, modèle Jon Snow. 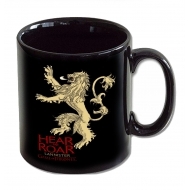 Set tasses Espresso Game of Thrones, modèle Logos Collector's Edition. 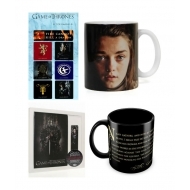 Pack de 4 mugs céramique Game of Thrones, modèle Logos Collector's Edition. 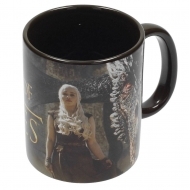 Mug Game of Thrones, modèle Dragon & Daenerys. 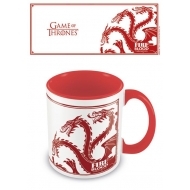 Mug Game of Thrones, modèle Coloured Inner Targaryen. 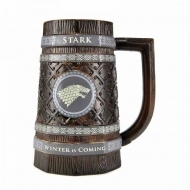 Mug Game of Thrones, modèle Coloured Inner Stark. Chope céramique Game of Thrones, modèle Stark. 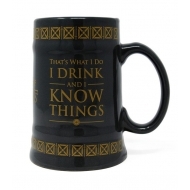 Chope céramique Game of Thrones, modèle Drink & Know Things. Chope céramique Game of Thrones, modèle Targaryen. 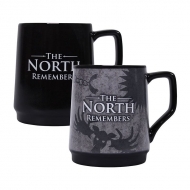 Mug effet thermique Game of Thrones, modèle North Remember.